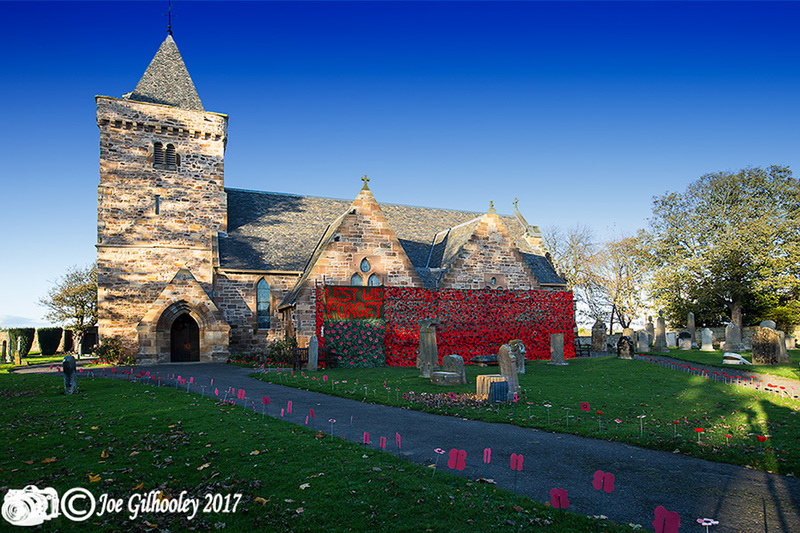 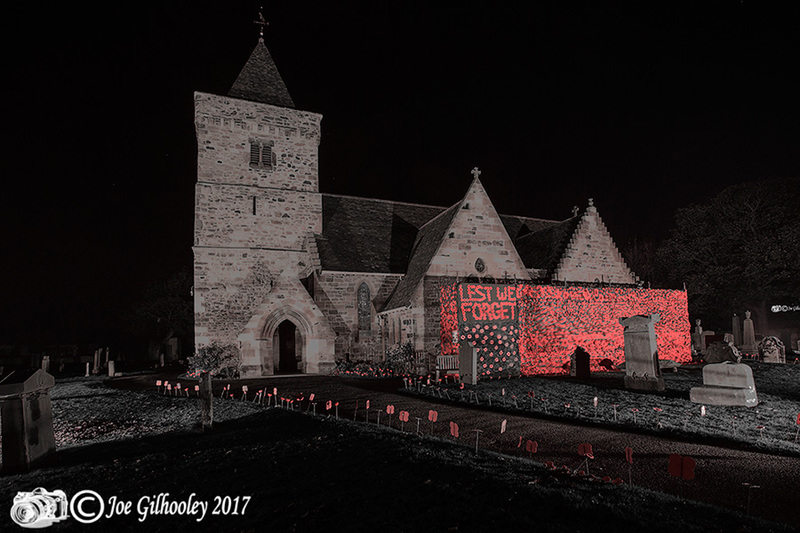 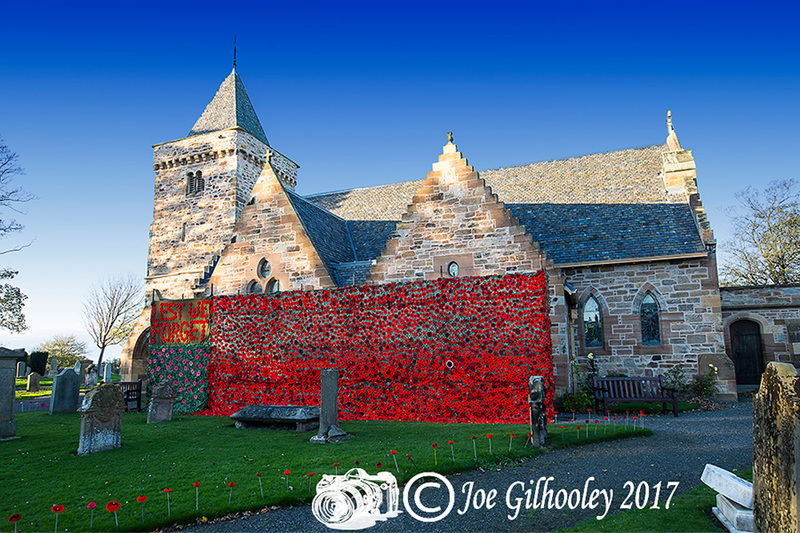 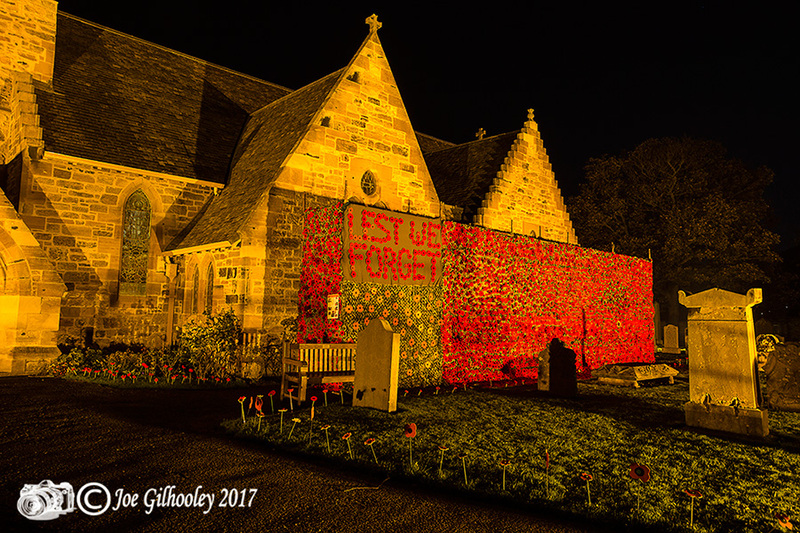 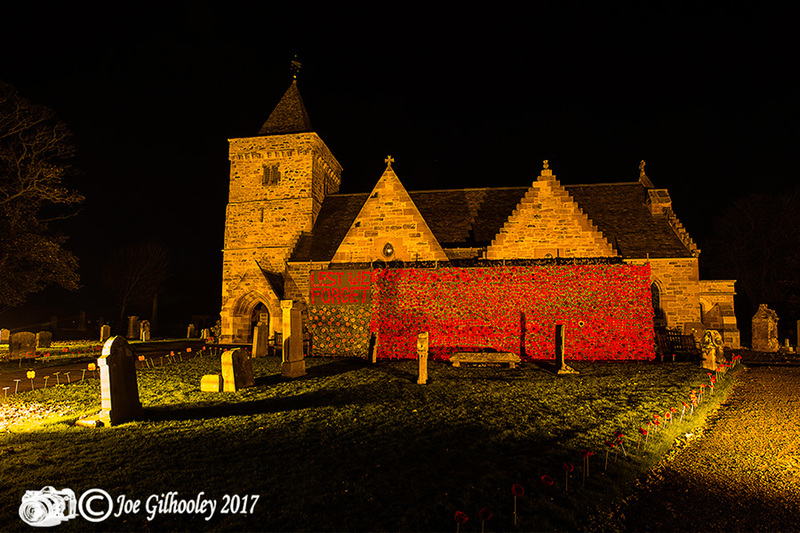 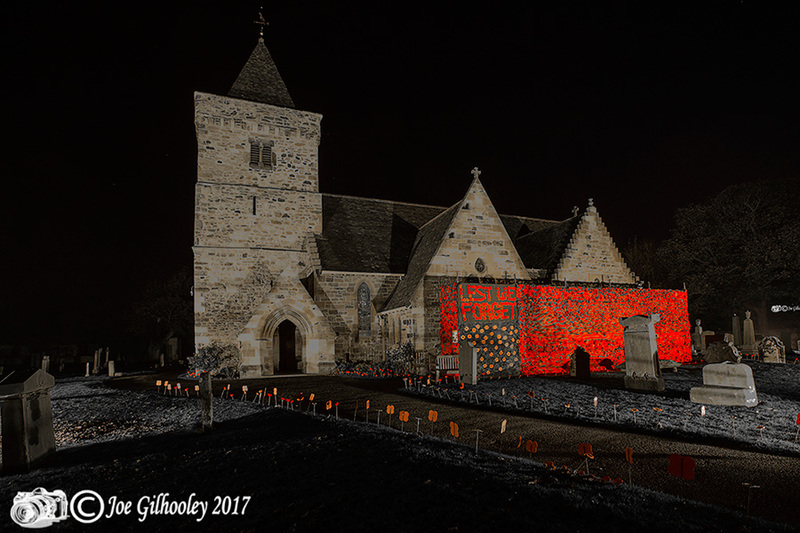 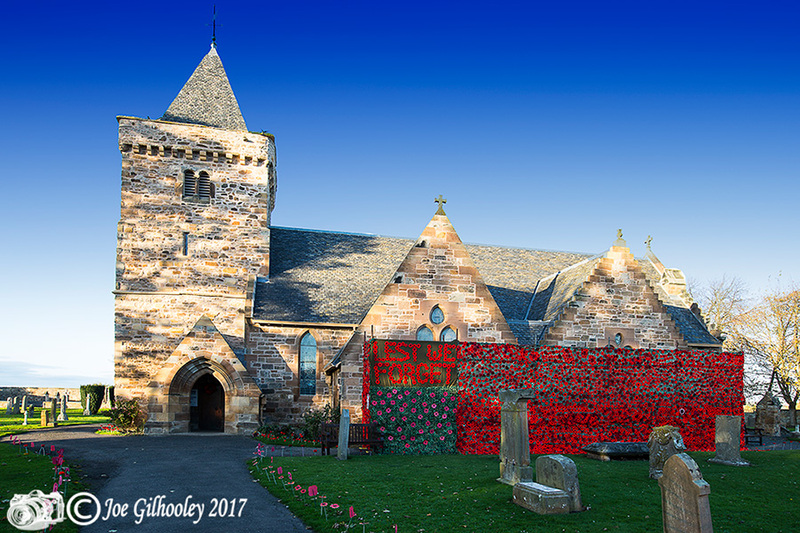 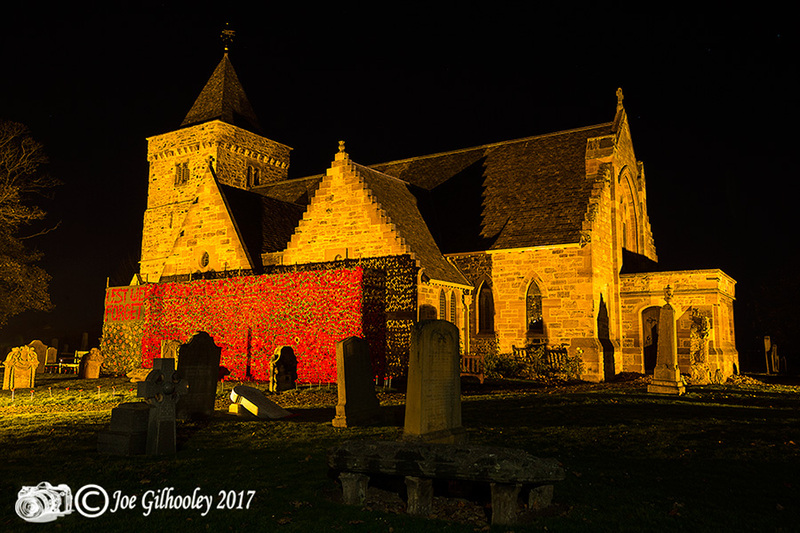 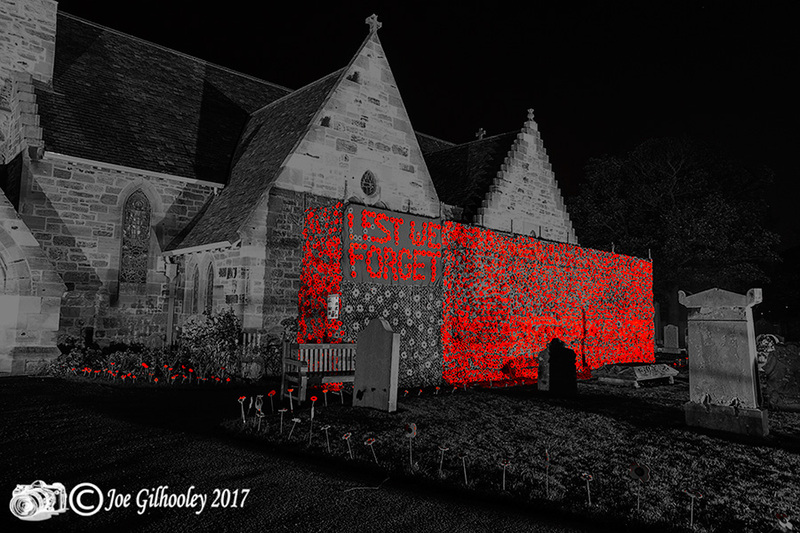 Thursday 2nd November 2017 - Aberlady Parish Church, East Lothian has more than 6,000 knitted and crocheted poppies adorning a 40ft long artwork, outside the church at 11ft high. 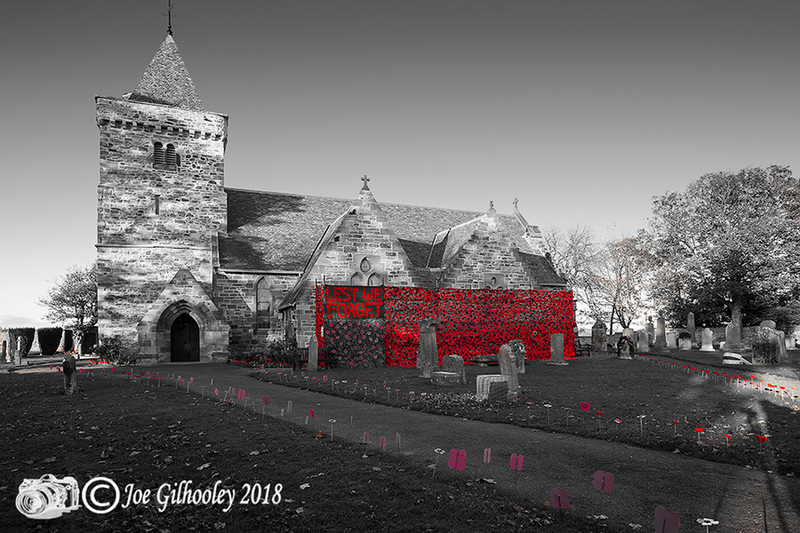 Here are three images I captured after my Gosford Boating Lake visit . 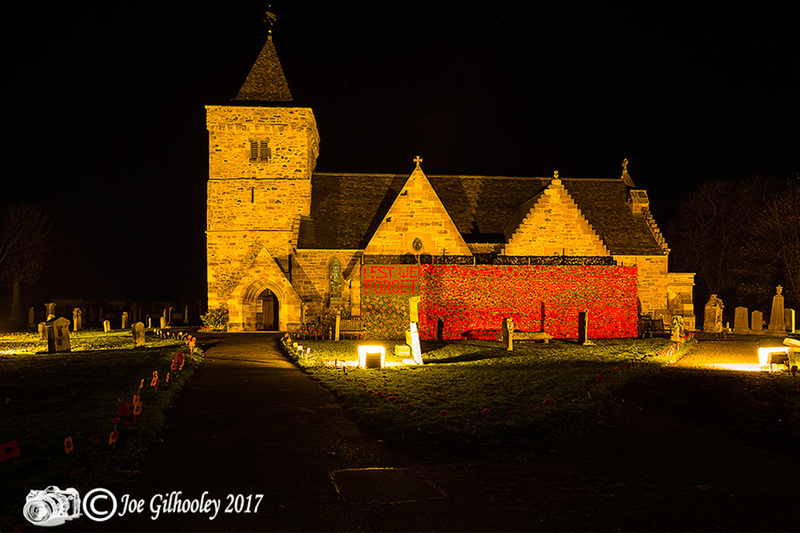 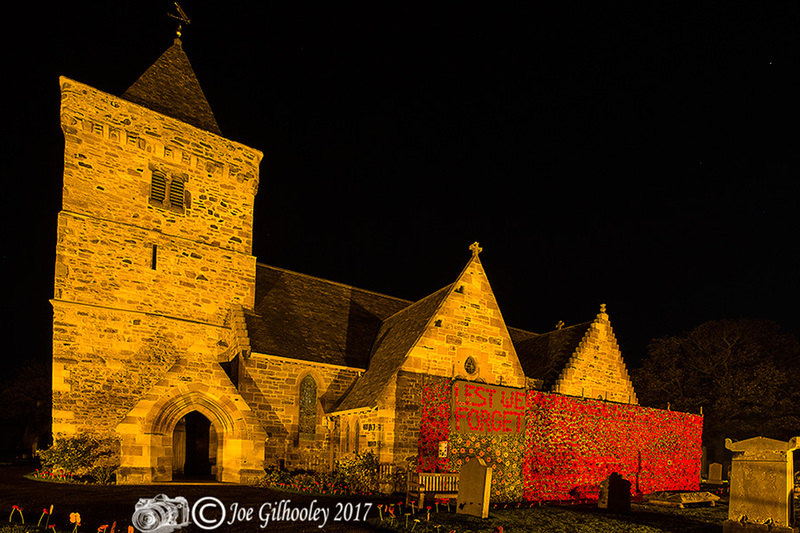 I returned to the church on evening of 5th November and captured images of the church and poppies display lit at night.